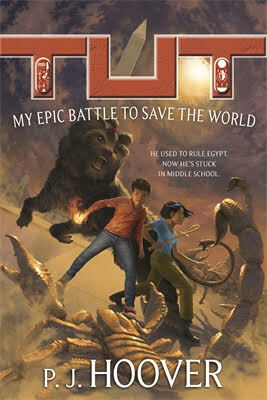 We're celebrating the release of two new books today - THE MANY REFLECTIONS OF MISS JANE DEMING by Jillian Coats and TUT: MY EPIC BATTLE TO SAVE THE WORLD by PJ Hoover! Congratulations to you both on your exciting new releases! TWO NAOMIS by Olugbemisola Rhuday-Perkovich and Audrey Vernick portrayed two middle-schoolers named Naomi, one black and one white, when their parents began dating and their lives turned upside-down. It's been so warmly received—starred reviews from Kirkus and Booklist, with great review quotes like "highly recommended" from SLJ and "warm, upbeat, and satisfying," from PW. In her blurb for the book, Rita Williams-Garcia said "Hopefully we have not heard the last of these two Naomis." I am very happy to say that Rita is getting her wish! In TWO NAOMIS TOO, the girls, now stepsisters, begin to adjust to life in a new house and a new school, and learn that even when it's hard, it's better to take a stand than be a bystander. Look for this in fall next year, folks! And if you haven't read book one yet, I urge you to get your hands on a copy—you will not regret diving into this literary oasis and will emerge a much happier human being. 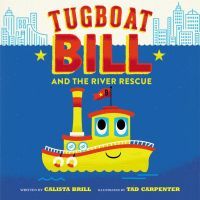 We are so thrilled to welcome Calista Brill's TUGBOAT BILL AND THE RIVER RESCUE into the world today! Please join us in celebrating the release. TUGBOAT BILL is also an Amazon Best Book pick for February! Huge congratulations, Calisa! Dan Richards Breaks It Out with a MG Novel Deal! No, you are not imagining things. Yes, we were just here not long ago to celebrate an exciting picture book deal for the prolific and talented Dan Richards. With ONCE UPON A GOAT firmly set up on the publication horizon, I am thrilled to be able to announce today yet another deal for Dan—one which showcases an entirely different side of his writing. Since you, Astute Reader, have read the header to this announcement, it will come as no surprise to learn that we are here to celebrate Dan Richards's debut venture into the novel world: with a hilarious and heart-warming middle-grade novel. STU TRULY tells the story of a twelve-year-old boy whose father owns the town butcher shop, and the antics that ensue when a new girl catches his eye—a girl who just happens to be a vegetarian. I could not be more thrilled to announce that STU TRULY has found its perfect home on the inaugural list of the brand new novel imprint from acclaimed publisher Bonnier USA, under the helm of super editor Sonali Fry. Spring 2018 can't come fast enough for me! Hip hip, hooray for Dan! 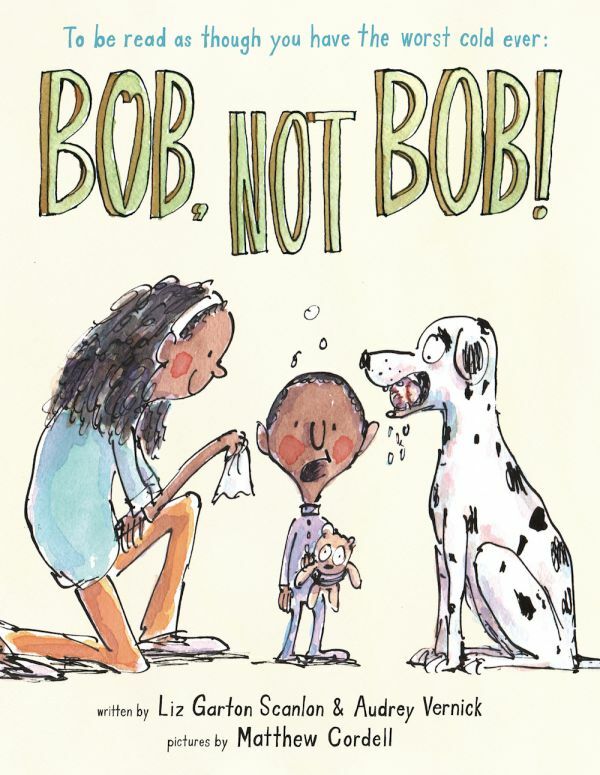 We're celebrating the release of two wonderful books today - AMERICAN STREET by Ibi Zoboi and BOB, NOT BOB! by Liz Garton Scanlon and Audrey Glassman Vernick! Congratulations to you all - we're so thrilled these books are out in the world. I'm beyond delighted to announce this new deal for Elly Swartz after her smashing success with FINDING PERFECT. Elly's found a publishing home at Scholastic for her fantastic SMART COOKIE, starring Frankie and her Dad and their B&B in a town that you'll fall in love with (inspired by EMLA's 2014 retreat in Brandon, Vermont). Elly's writing is strong and endearing and we're so excited to have this book with her editor, Jenne, and at Scholastic. Join me in congratulating Elly today! Jenne Abramowitz at Scholastic has bought Elly Swartz's Smart Cookie, the story of Frankie and her quest to find the missing piece of her family—by secretly posting a dating profile for her father online. Publication is scheduled for spring 2018; Tricia Lawrence at Erin Murphy Literary Agency brokered the deal for world English rights. You DONUT Want to Miss Suzanne Nelson’s New Book! Isn't it a great day when long-delayed news can at last be put forth into the world? By that standard, there are few days better than this one, when we can at least share the news of Suzanne Nelson's new book: DONUT GO BREAKING MY HEART, which was acquired again by Aimee Friedman at Scholastic. The passage of time is such that this hilarious and belly-warming book will be published in April 2017—so you have very little time to wait. In fact, you might as well go ahead and put it on pre-order right now. Have a look at that cover and tell me you aren't already salivating?